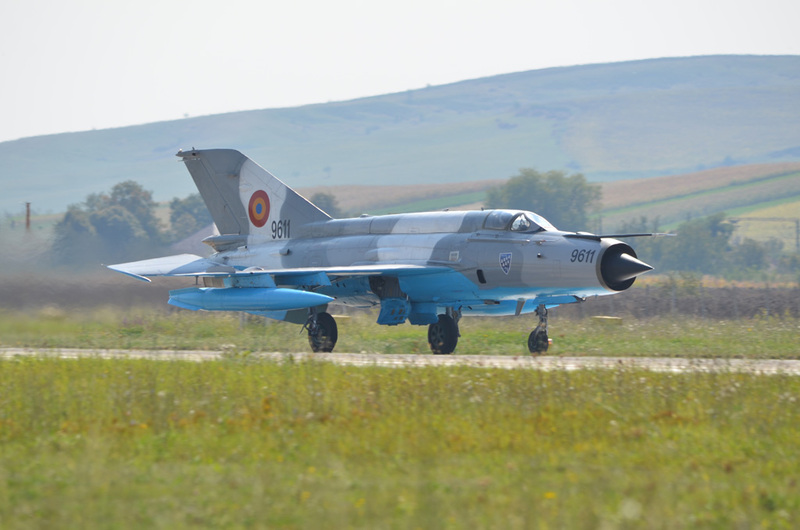 Entering the 71 Baza Aeriana , in Campia Turzii, a small town in Transylvania, you feel the sensation to be back in the Cold War era, being present one of the aircraft which rappresented the backbone of Warszaw Pact, the MiG 21. 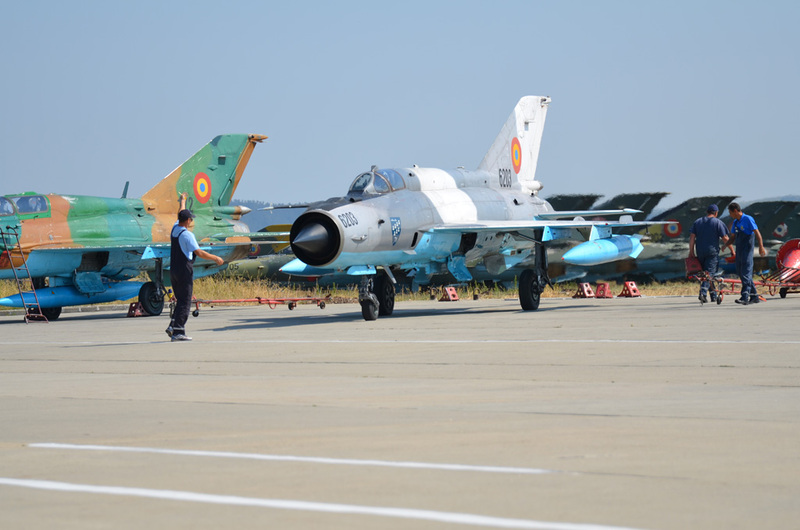 But looking around you realize that something is going to change, because a lot of these aircrafts are stored, and the flight line is rappresented by the new version Lancer, and the great History of the MiG 21 is sadly goning to the end. 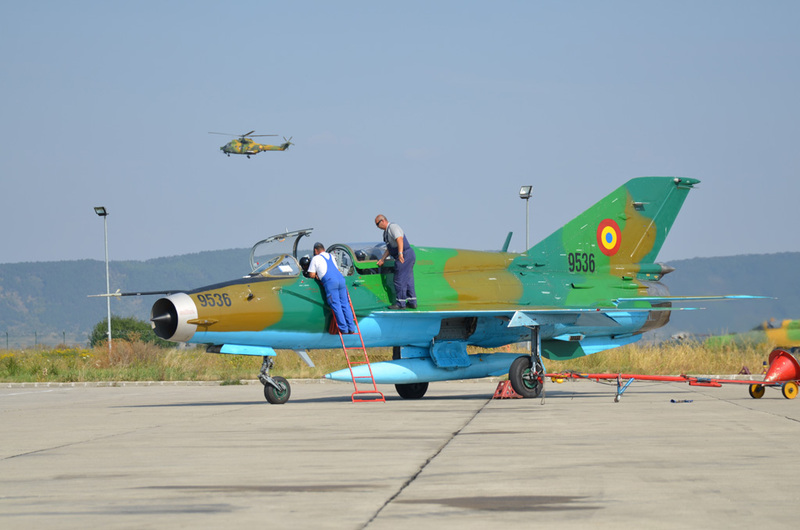 Baza 71 Aeriana is structured on three squadron: Escadrila 711 which operating the MiG 21 Lancer B/C which provides the QRA (Quick reaction Allert) and air policing and ground attack, Escadrila 712 and Escadrila 713 operating the IAR 330L/M, the Romanian built version of Aerospatiale SA 330 Puma, providing Helicopter transport, search and rescque and ground attack, and the devotion to their region is rappresented by the emblem of the Baza, the seven Castles of Transylvania. 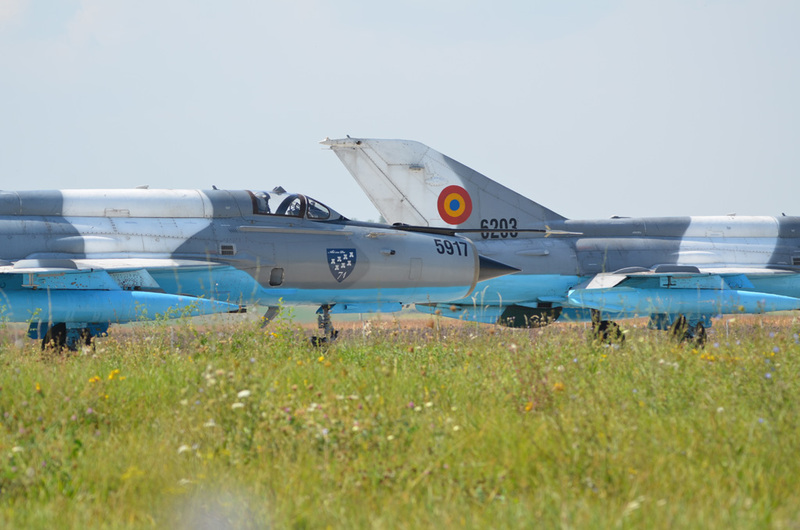 In 1989, after the fall of Ceausescu regime, Romanian Air Force gradually moved from the Soviet doctrine to the Western standard, becoming member of NATO in 2004, and due to the collapse of Soviet Union, the economical and material support to Romane Fortele Aeriane, was going to the end. 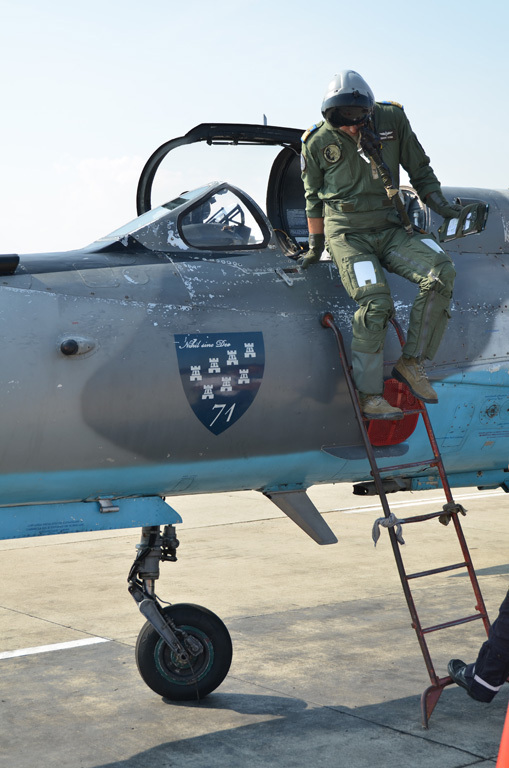 Furthermore, in those years, the technological avionics level of occidental fighters was growing up quickly, consequentely Romane Fortele Aeriane had to choose if to purchase a new fighter, to avoid a gap with others air forces, or to upgrade their fleet. 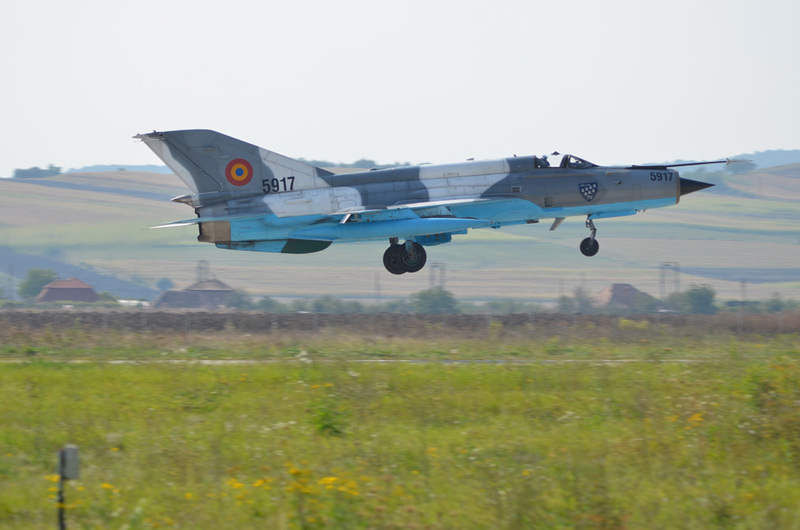 Obviously, the financial resources plaied a fondamental role in the choice, so the first initiative was to upgrade the MiG 29, with the Sniper program, but the financial situation leaded to abandon the Fulcrums and to upgrade the MiG 21 MF and UM fleet, in service with Romanian Air Force since 1962, with the Lancer program. 110 aircraft were selected for this program, which began in 1993, performed by the Romanian Aerostar SA, with the collaboration of Israeli Elbit System Ltd, concluding with the last aircraft delivered in 2003. 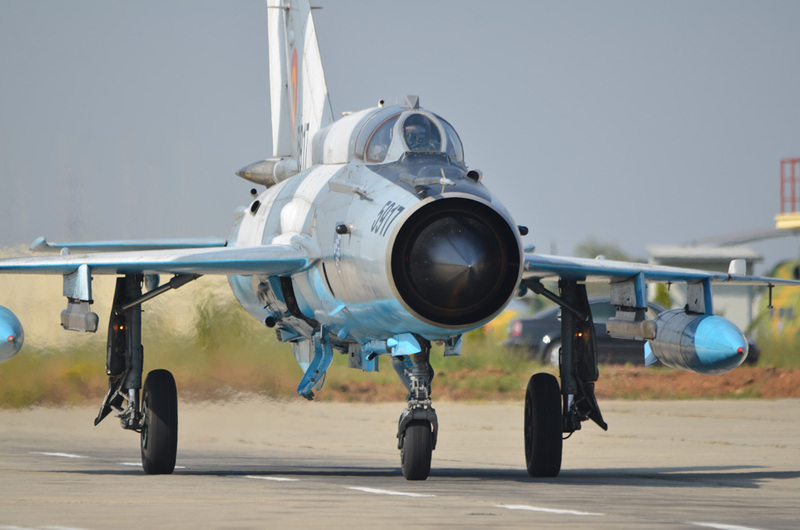 The Program provided a total inventory of 73 MiG 21 Lancer A single-seat ground attack variants, 23 Lancer C single-seat air superiority jets and 14 Lancer B two-seat training and ground-attack versions. 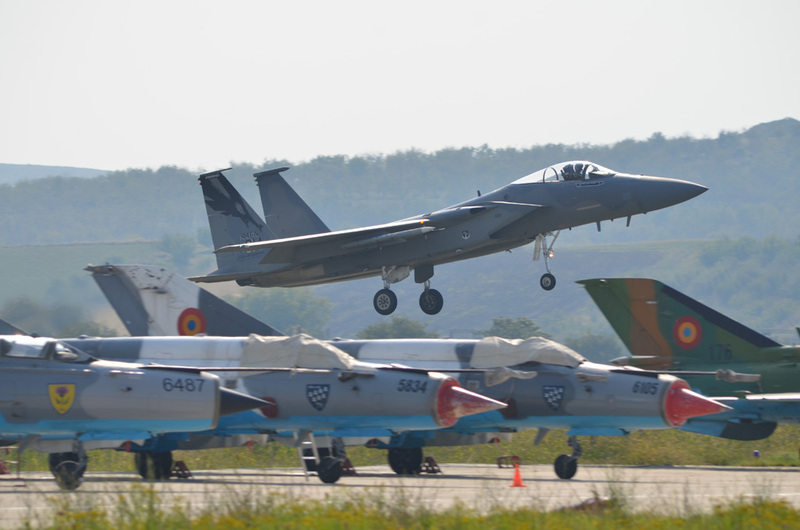 The aim of this important up-grade program was to increase the interoperability and compatibility with other NATO air forces. 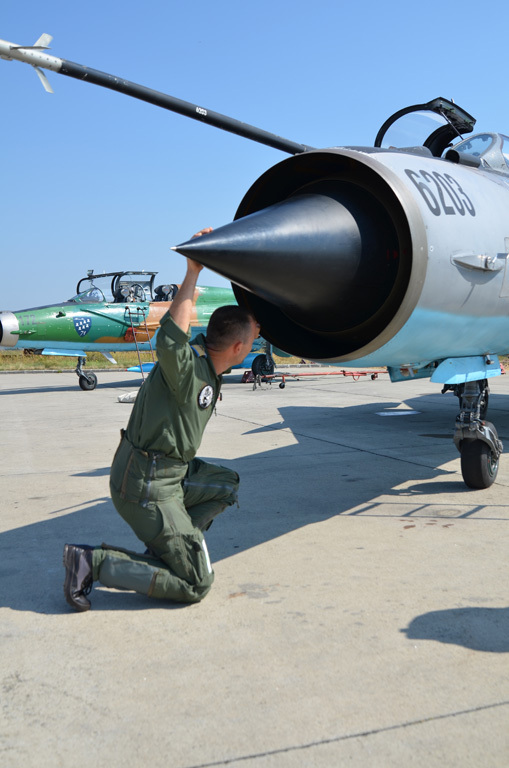 One of the problems that ex-members of Warszaw Pact had to manage after the dissolution of Soviet Union, was the supplying of spare parts for military equipments; in the Lancer program was calculated the total number of spare parts necessary to keep MiG 21 in service till the end of its operative life. Col. Cosmin Cosma, Commander of 711 Escadrila, explains. During the Cold War, Romania was part of a treaty (Warsaw Treaty), consisting the eastern european countries and CCCRP, Soviet Union (and not Russia), most of them being members of NATO in these days, treaty that ended in 1990. After that, Romania has undertaken several initiatives at all levels in order to accede to NATO. 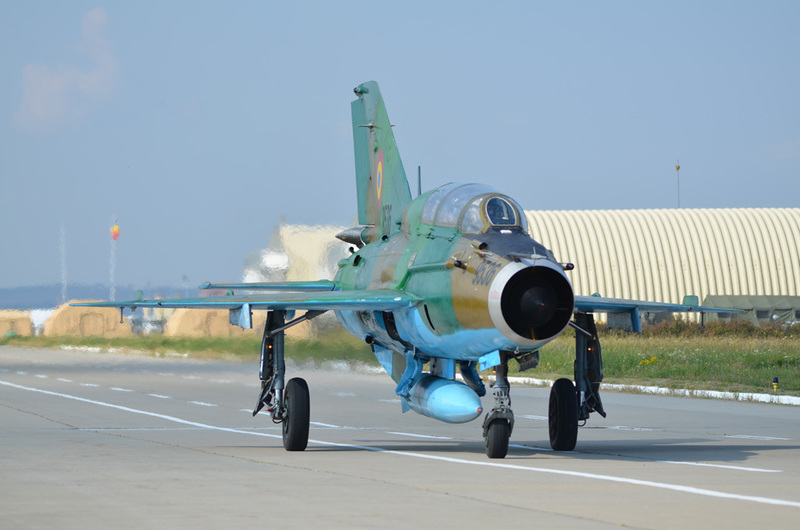 MiG-21 modernization was part of these initiatives (at technological level), the declared objective being an increased interoperability and compatibility with NATO armies. 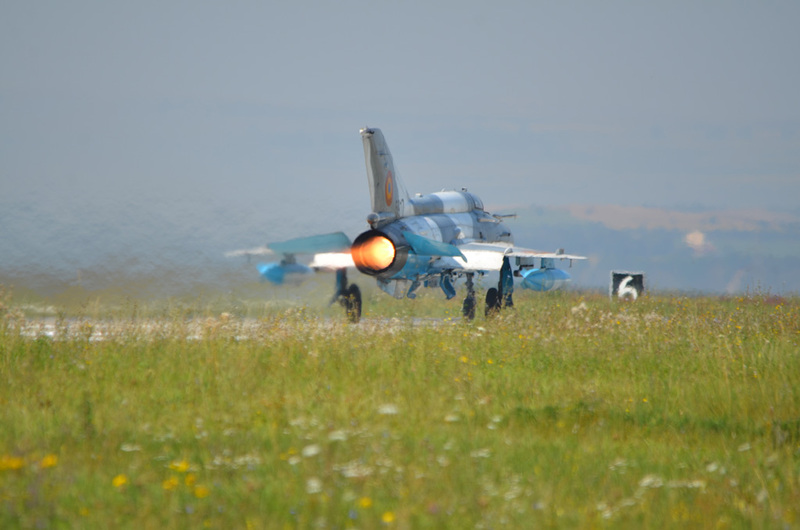 At that time, were made complex and comprehensive assessments, trying to cover multiple aspects regarding optimal and sustainable new modernized platform (MiG-21 LanceR) exploitation. Spare parts aspect (among others, as remaining life as resource in flight hours, costs etc.) 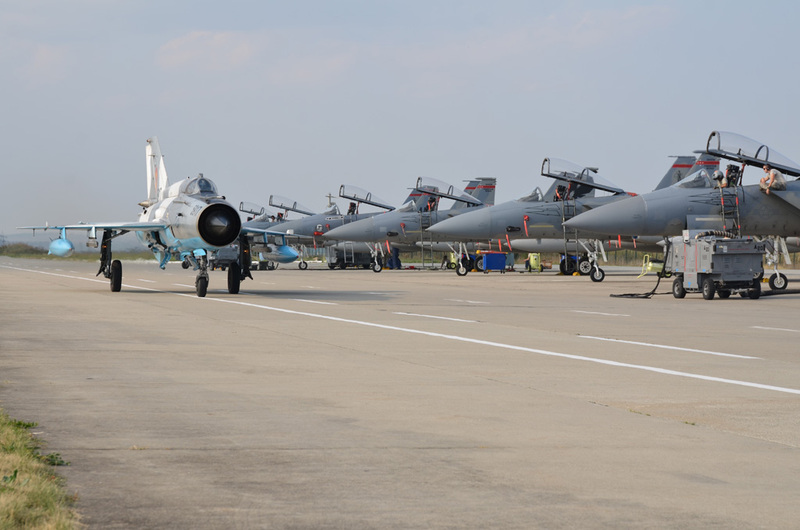 was essential in this aircraft modernization selection (MiG-21 or MiG-29) and decision-making process. 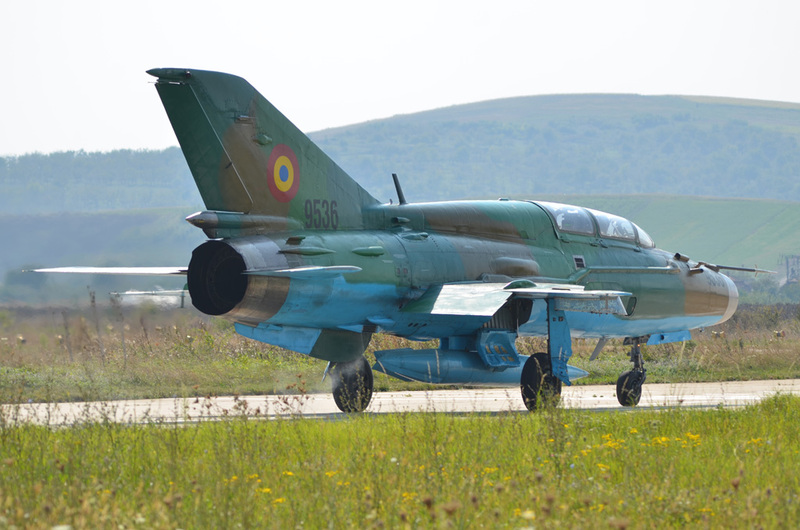 In the beginning of the 1990 Romania had few hundreds of MiG-21 (Fishbed), of which about 110 were chosen for modernization with a substantial package of spare parts, calculated to cover the entire operational period (up somewhere in 2021-2023). 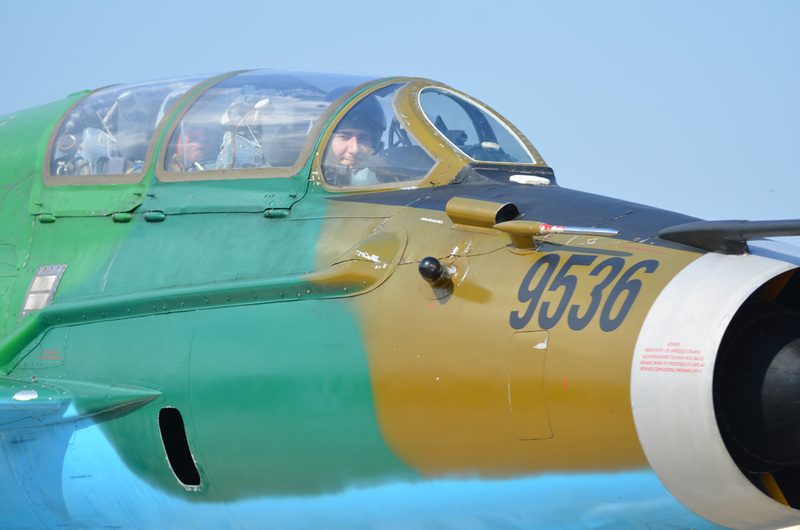 Currently the Baza 71 engineers and specialists provide engine maintenance every 25, 50 and 100 flight hours, and airframe maintenance every 50, 100 and 200 flight hours. Major maintenance is provided after 600 flight hours or 10 years of activity by Aerostar in Bacau. 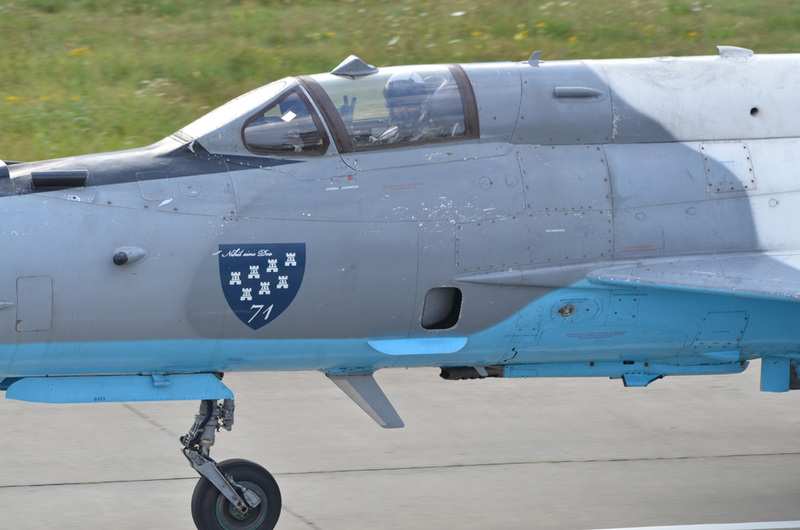 The original MiG 21 avionic has been deeply modified, and now the Lancer’s cockpit is much more similar to a occidental new fighter, rather than an old Soviet aircraft. 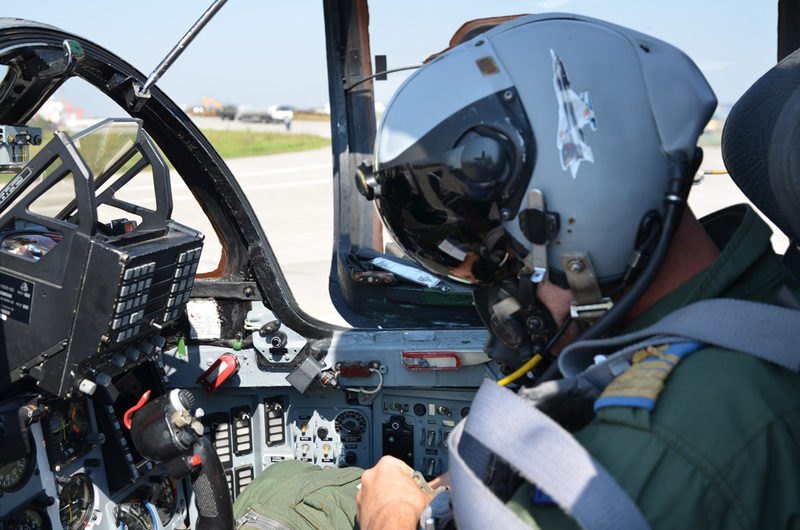 The instrument panel was re-designed with two Elbit multi-functional displays and a Elop 921 HUD/up-front control panel. In the lancer C the left-hand display is a color MFD for navigation and pylons management, and the right-hand one is monochrome MFD representing the radar situation. 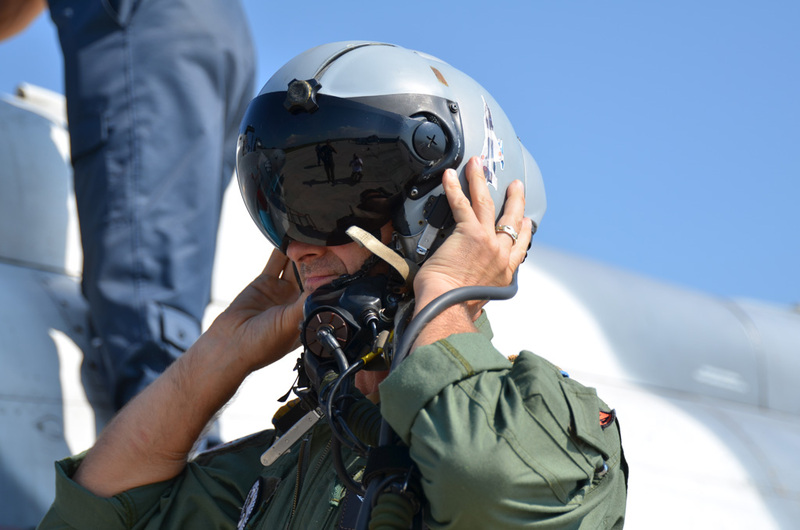 Essential navigation and combat informations are projected in the Elbit DASH helmet-mounted display, making the Lancer one of the first operational aircraft to introduce the DASH in active service and providing the pilot with an advantage in close maneuvering engagements. Another main modification was the replacement of the radar RP 21 Sapfir with the Israeli IAI Elta EL/M 2032M advanced pulse-Doppler radar, which equippes the younger airframes Lancer C, while Lancer A and lancer B had been equipped with the Elta EL/M 2001B, a pulse-Doppler range-only I/J-band radar. Other avionics improvements comprise the LISA-4000EB hybrid navigation system, Marconi air data computer, VHF/UHF radio, data transfer system, flight data recorder and a NATO-compatible IFF transponder. 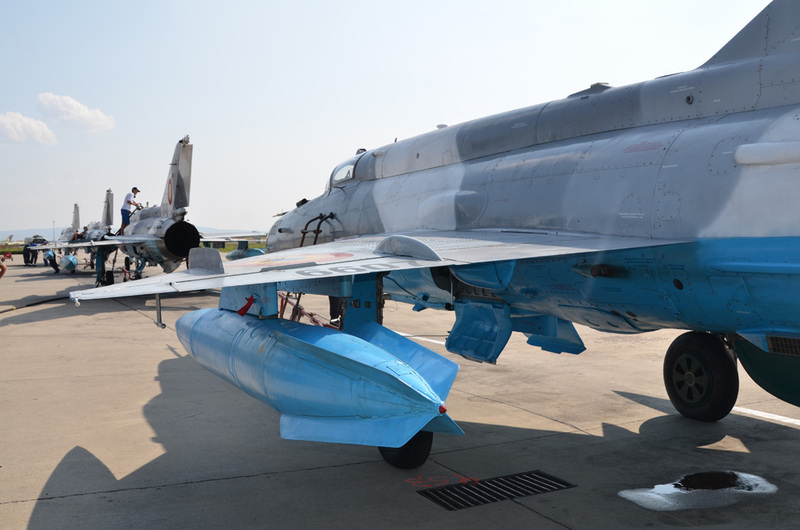 The self-protection systems were improved throught the installation of two MPMN-60 chaff and flare dispensers on the sides of the rear fuselage. 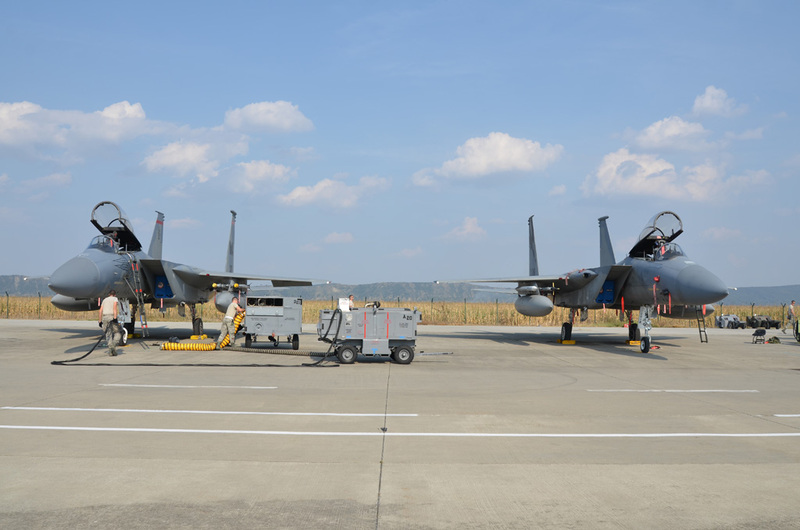 Protection of the aircraft in a hostile electromagnetic environment is guaranted by an ELTA EL/L 8222R electronic warfare jamming pod which autonomously detecs enemy radar and missiles and emits electronic signals to counter the threat. Instead, one of the limits of Lancer, is the lack of datalink Link 16 system, which permits to know fondamentals information, such as armaments, flight range and others informations, about the other aircrafts, when flying in a formation of two, four or more aircrafts. Another further fondamental improvement of the Lancer is the multi-role weapon pylon, as Col. Cosmin Cosma explains. This pylon, developed together by Aerostar and Elbit, can carry Soviet weapons, such as the missiles R 73, and occidental weapons, such as the Israeli missile Python 3, thanks to two different types of connectors, which permit to fit both type of ordnance, excpet for the Magic 2 missile, which needs an adaptor between the pylon and the launcher. 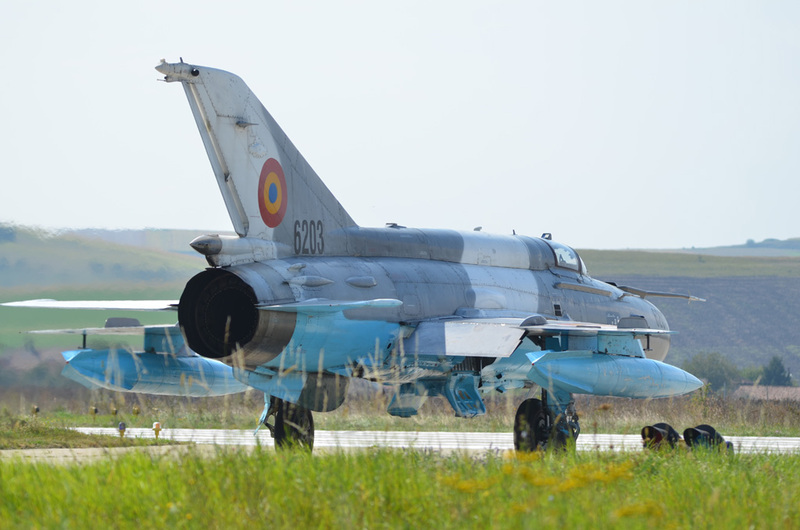 This allows the Romanian MiG 21 to carry the two different type of weapon, Eastern and Western, in the same mission, increasing the potential of the aircraft. The original central pylon, available only for a fuel tank in the MiG 21 MF, had been replaced by a new pylon adapted to carry Mk 83 bombs and various pods. Potentially, the same aircraft could carry weapons for ground attack and for air defence, in the same mission, but in the practice, the usual configuration of a single aircraft is thinked only for air defence or only for ground attack. For close combat, the Lancer C uses the reliable Soviet-made Gsh-23L twin-barrel gun, while the Lancer B carries a 12.7mm-caliber external machine gun pod. The main role of Lancer C is the air defence, Col. Cosma explains, but after the retirement of the Lancer A version, we can carry out even ground attack missions, fitting the Aerial Reconnaissance Pod, the Rafael Litening laser designator pod for strike, and our ordnance for ground attack, which includes: unguided rockets Soviet-made S-5 and S-24, free fall BEM-100 and CL-250 cluster bombs, Western Mk 82-83, Soviet FAB-100, FAB-250 and FAB-500 and Romanian built conventiaonal 100kg and 250kg bombs. 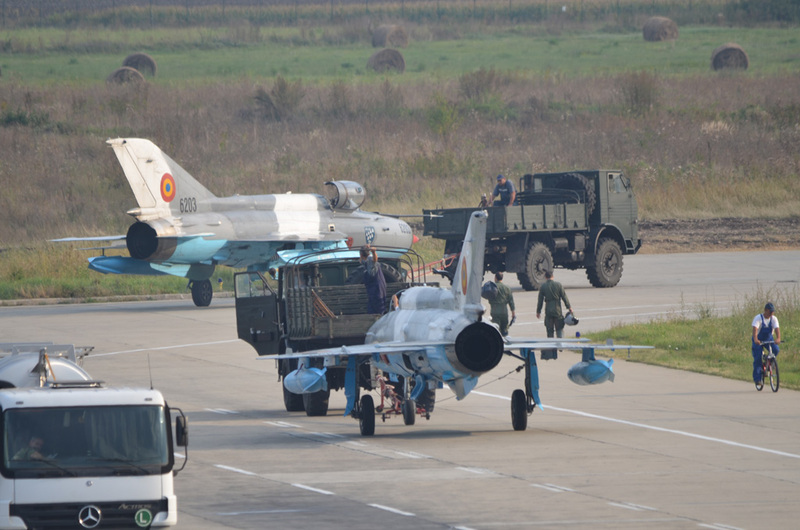 On Campia Turzii air base are frequent the deployment of other allied aircrafts for joined exercises. 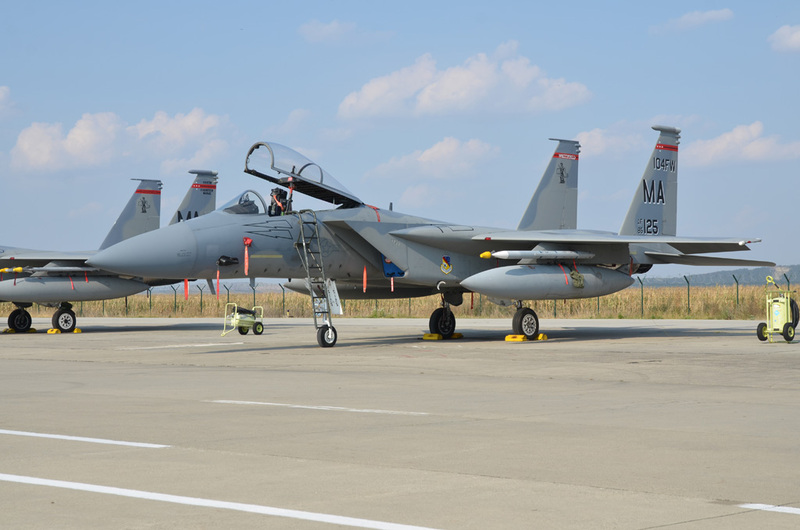 Recently has been held the Dacian Eagle exercise, which viewed on the Transylvanian air base, the presence of F 15 C/D Eagle from 144FW, based in Fresno, California, and F 15 C/D from 104FW, based in Barnes, Massachusetts. 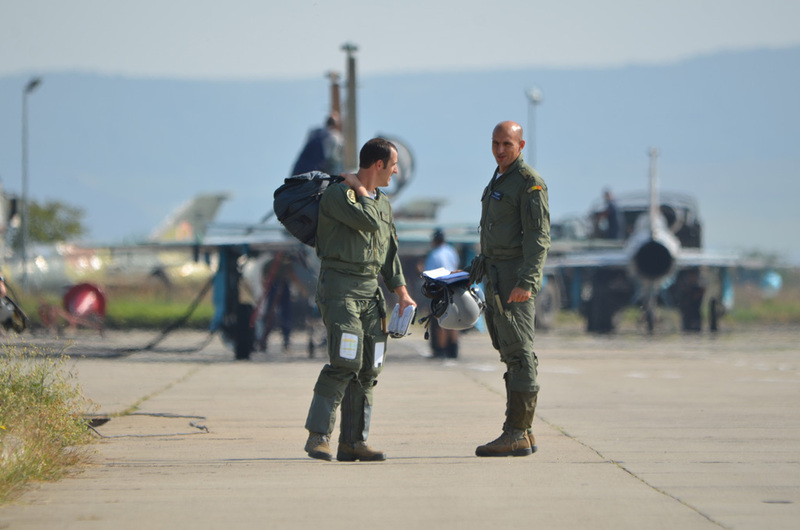 This exercises are very useful, Col Marius Mihai Oatu, Baza 71 Commander, explains, our pilots familiarize with operational procedures and the standard decisions to be taken during a mission, and they learn the techniques, the tactics and procedures of their NATO allies, as are required for different types of operations. 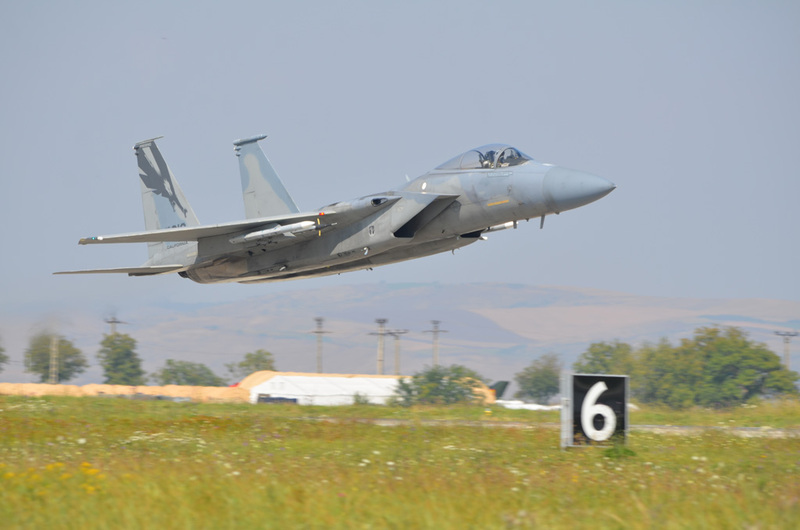 The exercise was set up as a bilateral, total force training event to enhance interoperability with Romane Fortele Aeriane and to bolster readiness to conduct combined air operations, also participating in the offensive and defensive counter-air (OCA/DCA). 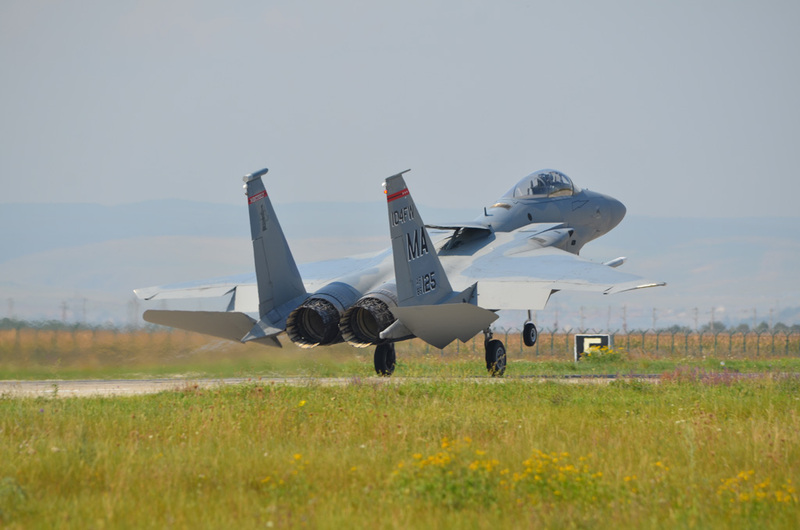 For USAF pilots these exercises represent an oportunity for comparing themself with different types of aircrafts, which joined NATO in the last 10-15 years, and which could represent the air fleet of the Countries which could be the next real enemy. 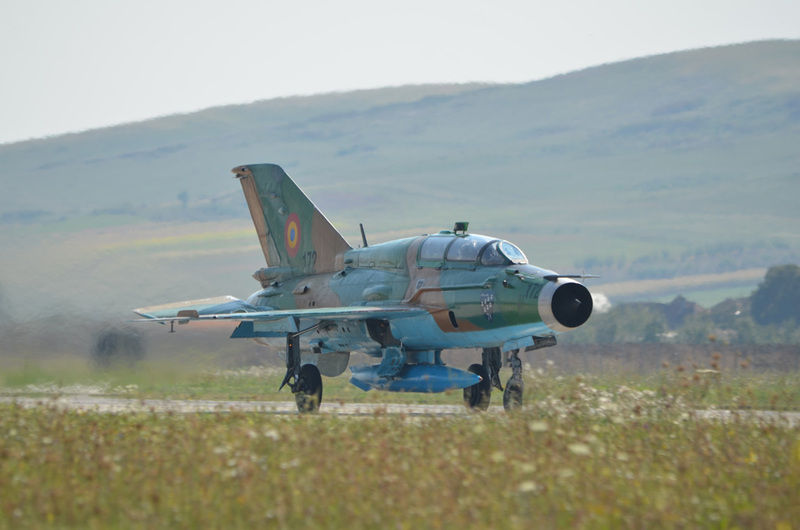 Col. Cosma explains that MiG 21 is like a missile, it looses energy flying in low speed, but it is smaller and more difficulut to acquire, and thanks to Lancer version, it can use Western weapons, which helped Romanian pilot to achieve several winning in simulated combats against occidental fighters. 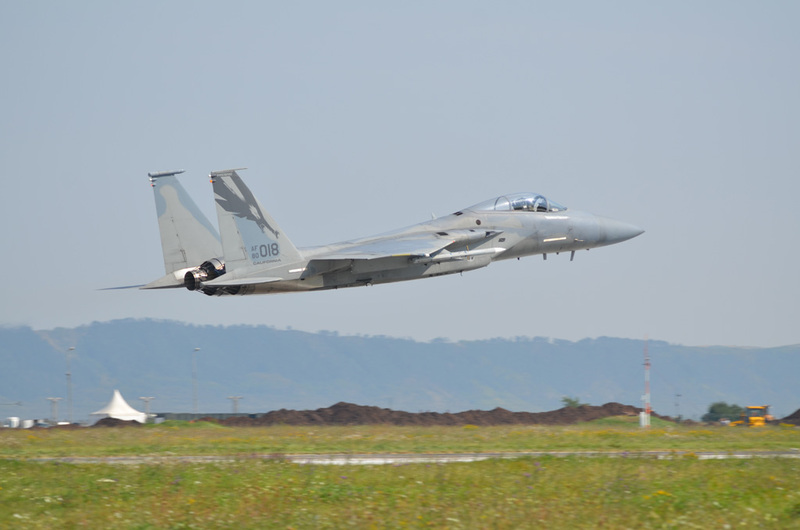 The successes against F 15 are favourited by the fact that the Eagle is larger and consequentely have a bigger radar signature and so can be picked-up by the radar from a greater distance, before that the MiG 21 can be acquired by enemy BVR missiles, instead aircraft such as MiG 29, F 16, are smaller, so they can be acquired later, due to their smaller radar signature, and this means that the result of the fight is more uncertain. 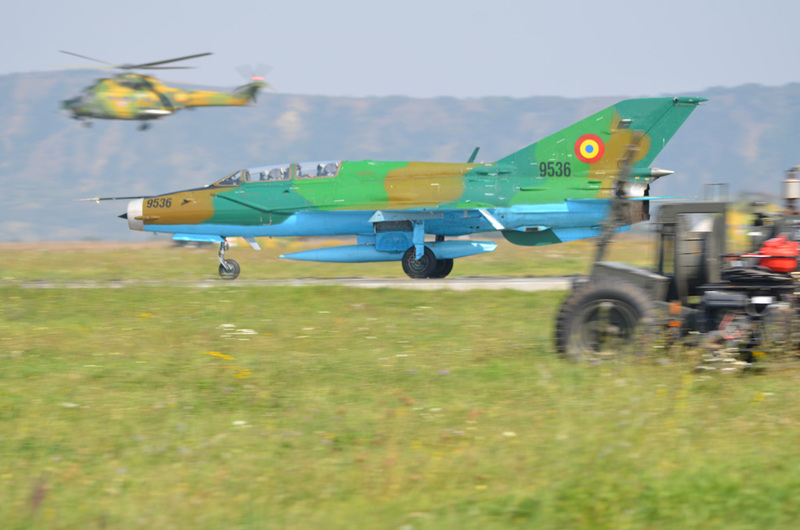 The favourite tactic used by Romanian pilots of 711 Escadrila is named “hit and run”, due to the small size of MiG 21 and to its high speed and limited autonomy. 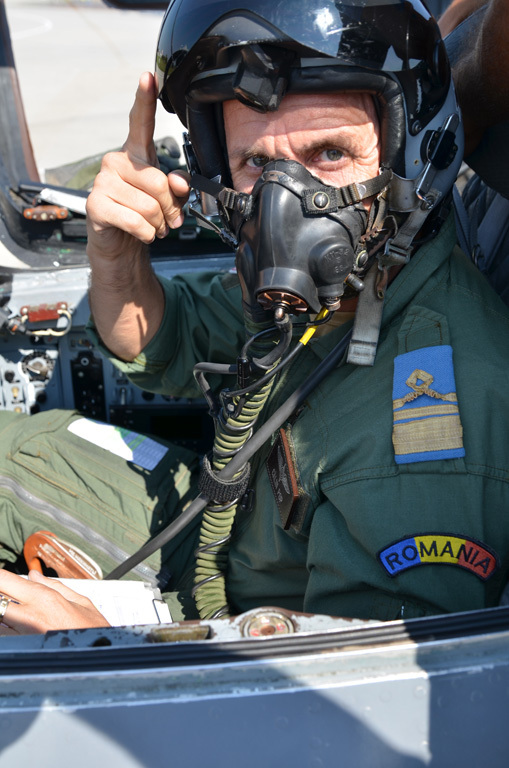 The Lancer permited to reduce the gap with other modern aircraft, but even a big merit belongs to the high training and abilities of Romanian pilots. 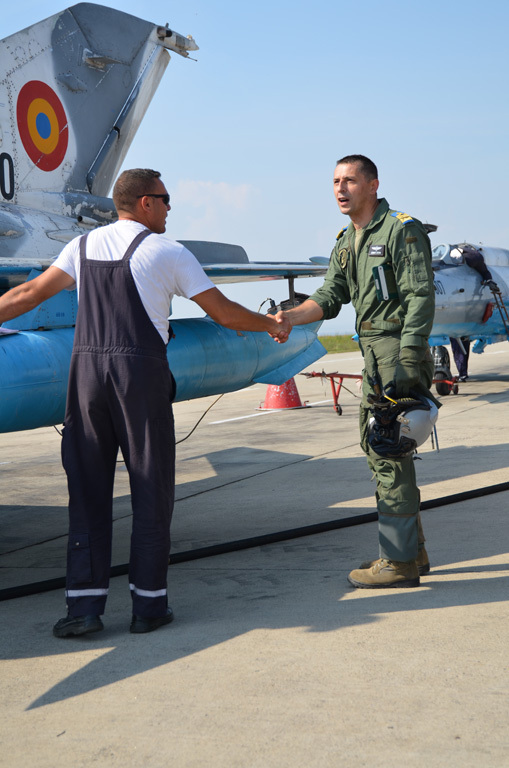 After Air Force Academy graduation (located in Brasov – Academia Fortelor Aeriene – AFA), the training program usually continues at Boboc, at Air Force Application School (Scoala pentru Aplicatii a Fortelor Aeriene – SAFA), where the young pilots (first and second lieutenants) complete their flight training on IAR-99 SOIM, flying usually 70-100 hrs (in accordance with established goals, objectives, career related, as next aircraft / base, missions etc.). This takes 1-1.5 years. 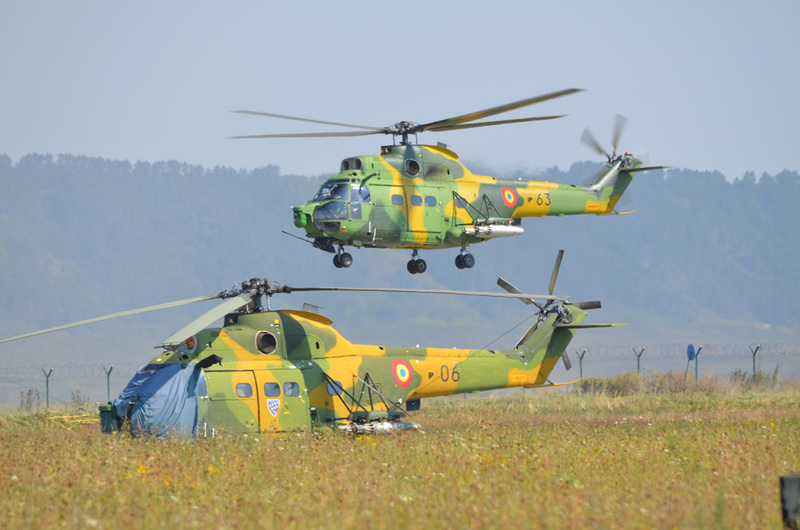 After that they return to their air bases, where start / continue the combat training on fighter / helicopters in order to attain MR / CMR level, Col. Cosmin reveals. 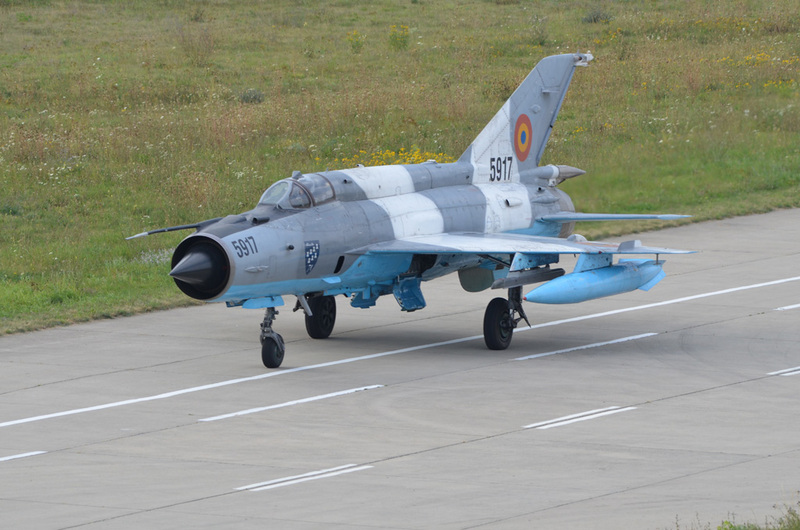 Main role of Escadrila 711 is air defence, therefore in the base there are always ready two MiG 21 for QRA (Qick Reaction Allert), and to become pilots combat ready for this type of missions, two years of special training are demanded. This training is divided in two steps. 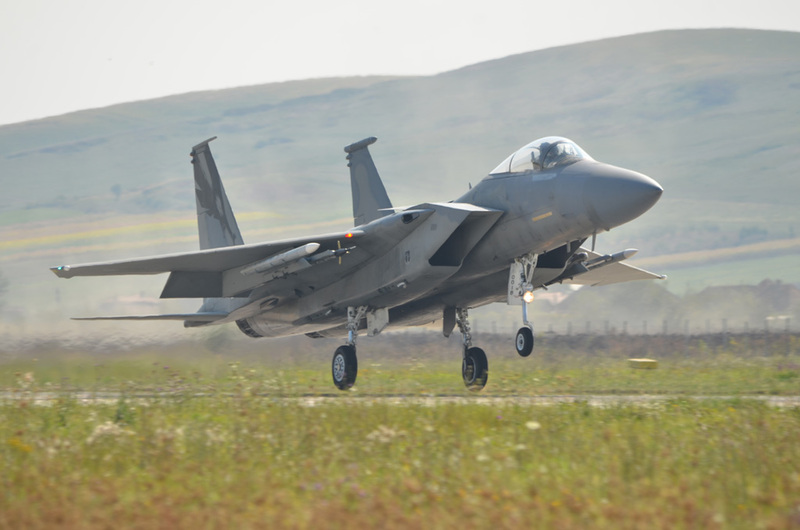 In the first one, which lasts 100 flight hours, pilot is trained in all aspects of the air defense mission, and a second one, which takes other 80 hours, where pilot learn how to intercept the threat using different tactics. 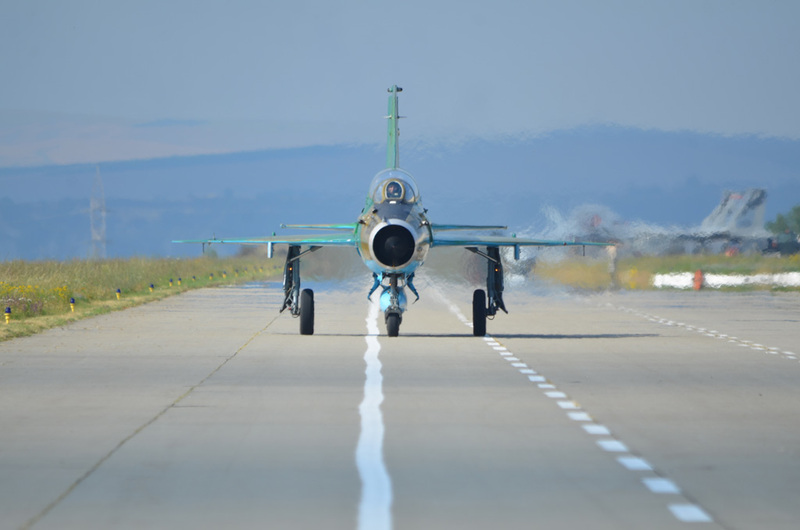 At the end of this path, the pilot is declared combat ready for QRA missions. The ground attack training, secondary role of the squadron, is performed on the firing ranges of Bogata and Cincu. 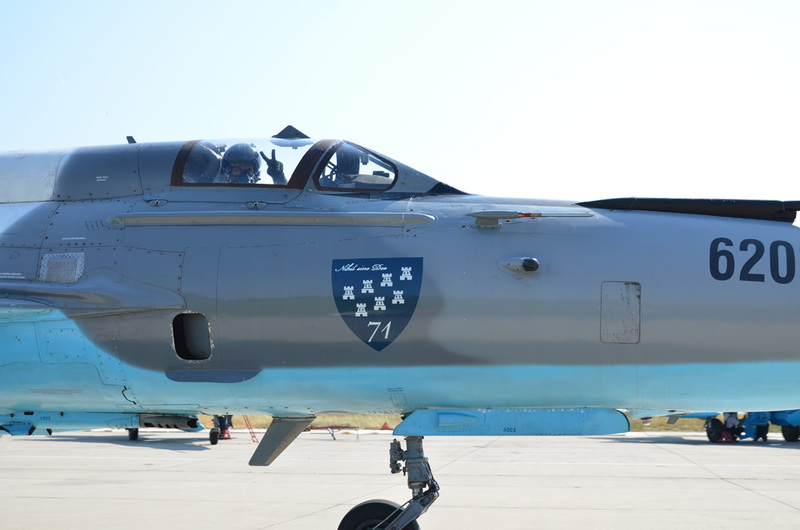 Thanks to Nato standard adjustment provided by Lancer up-grade, four MiG 21 belonging to Baza 71 Aeriana, have carried out the Air Policing Baltikum, operating from August to November 2007 from Siauliai air base, in Lithuania, to protect the Baltik air space. On 2013, the Bucharest Government signed a contract with Portugal for the purchase of 12 F 16 AM/BM, nine single-seat and three two-seat, from Portuguese air force. The contract also included the modification and up-grade of the aircraft to the mid-life up-grade (MLU) standard, additional engines, logistic support, training of pilots and specialists, spare and repair parts. As weaponary, the contract provides the supply of AIM 120C Amraam, AIM 9M Sidewinder, GBU 12 guided bomb, AGM 65 Maverick missiles. 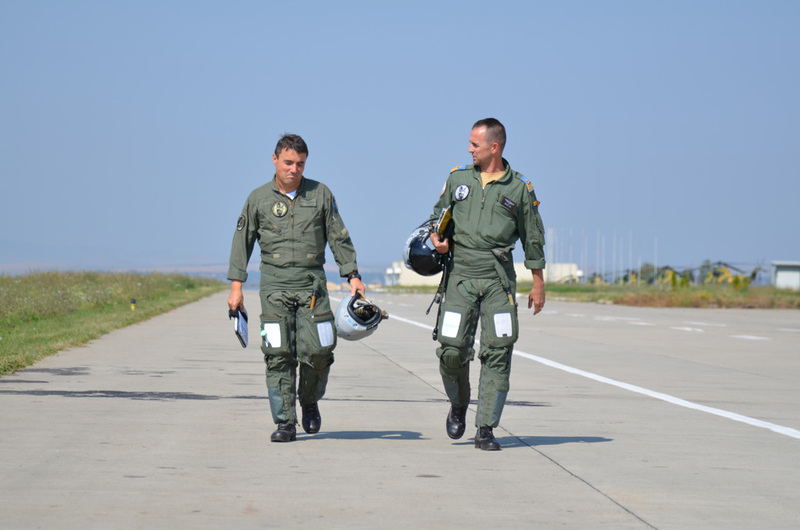 Actually pilots and crew are training in Portugal, and the first F 16 has landed in Romania, in 86 Baza Aeriana, located in Borcea-Fetesti, in September 2016, whilst the second batch landed in September 2017. 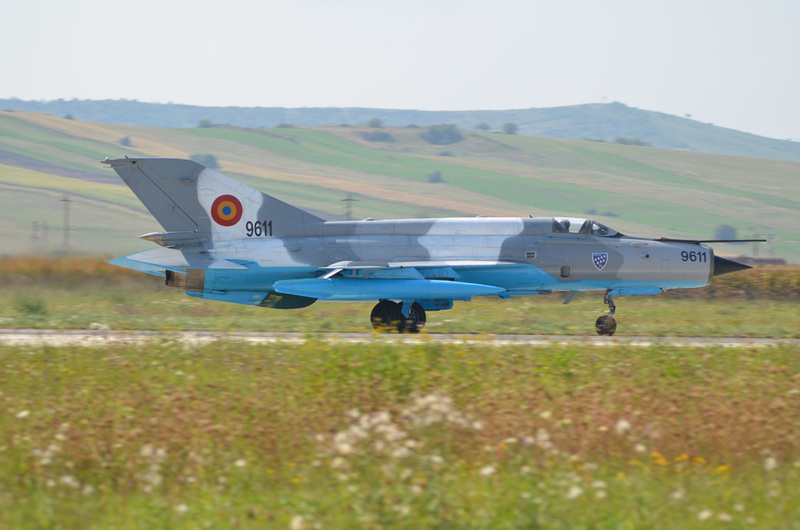 Probably the MiG 21 belonging to 86 Baza, will increase the 71 Baza fleet, till 2020, when the complete farewell of MiG 21, the aircraft which has represented the History of Romane Fortele Aeriane from the 60’s, will be definitive.